A 44-year old man was brought to the emergency room after a generalized seizure. No further medical history was available at the time of presentation. 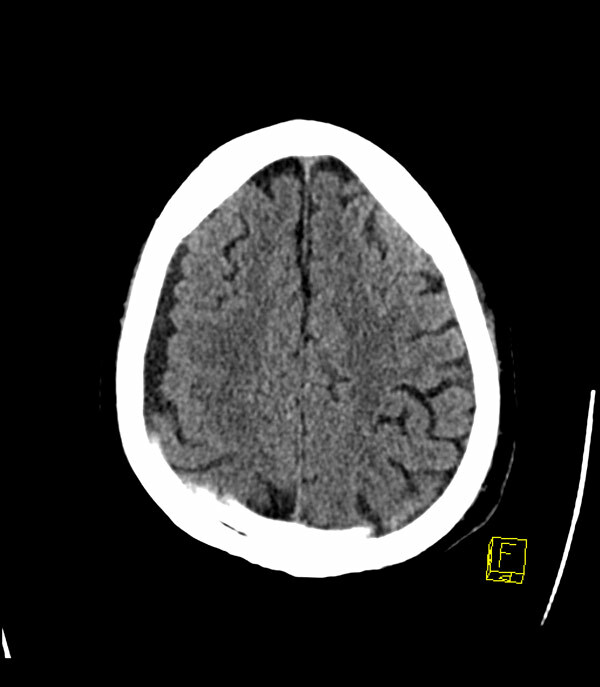 Non-enhanced CT of the brain was performed.